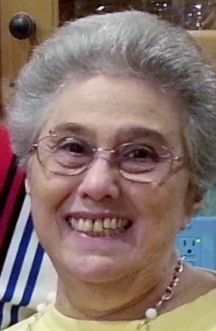 Antoinette Faraldi, 82, of Barnegat passed Thursday, August 9, 2018. Born in New York, to her late parents, Cosmo and Geraldine Mastrogiacomo, she was raised in Union City, NJ where she graduated from Union Hill High School. Predeceased by her beloved husband, Albert J. Faraldi, she is survived by her two loving sons, Joseph and wife Patricia Faraldi, Albert and wife Holly Faraldi; four cherished grandchildren, Kara, Christopher, Camille and Liza. A Time of Gathering will be held Friday, August 17, 2018 from 2 to 4 PM at The Bayside Chapel, 965 West Bay Ave., Barnegat, NJ. In lieu of flowers, donations to The American Cancer Society deeply appreciated.